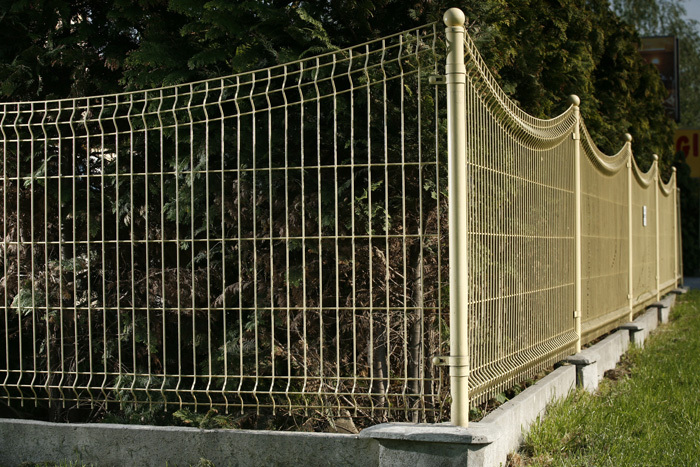 Convex panel – Type A is a fence panel with semicircular, convex upper edge. 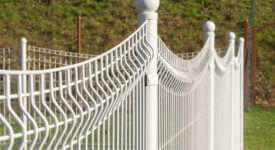 It is made entirely of 4.0 or 5.0 mm diameter steel wire. 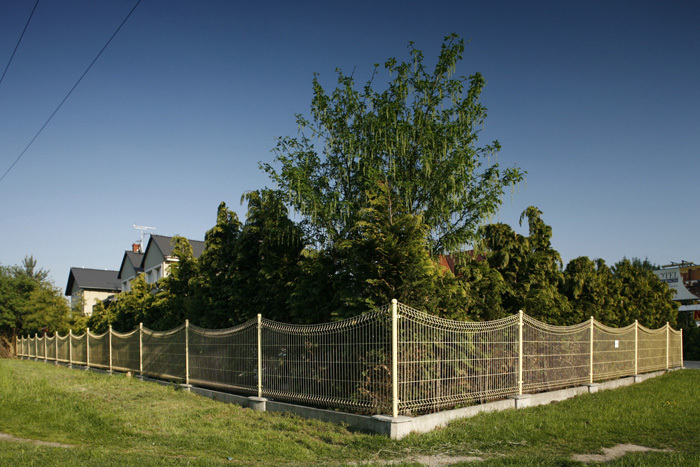 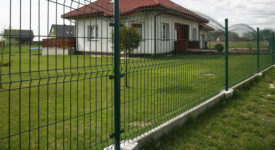 Panels with 50 x 200 or 75 x 200 mm mesh size and several horizontal profiles, depending on the height of the fence. 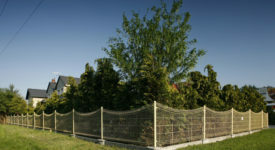 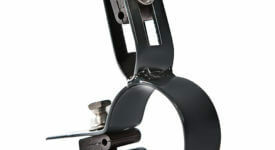 The installation system features a Fi 48 x 2 mm round post with a decorative sphere at the top. 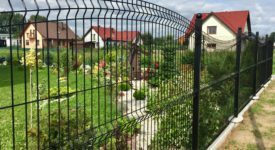 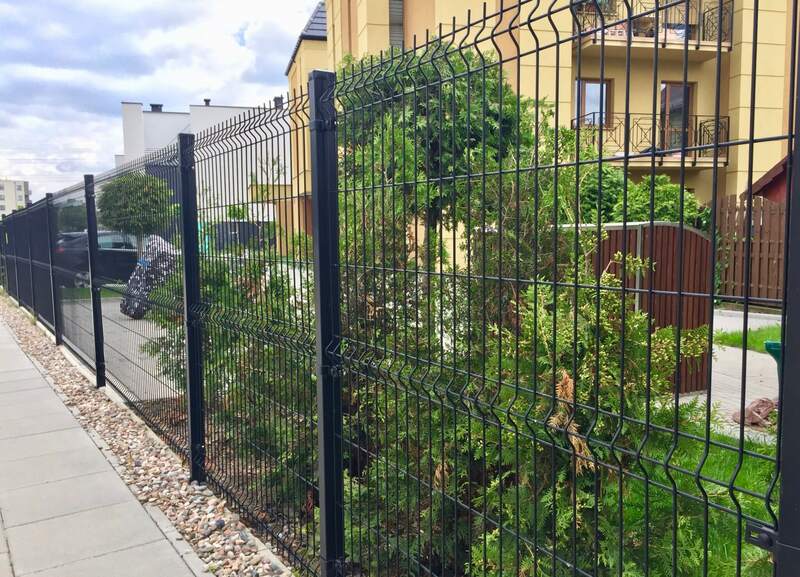 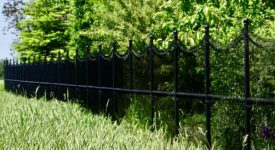 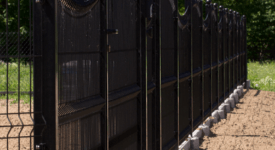 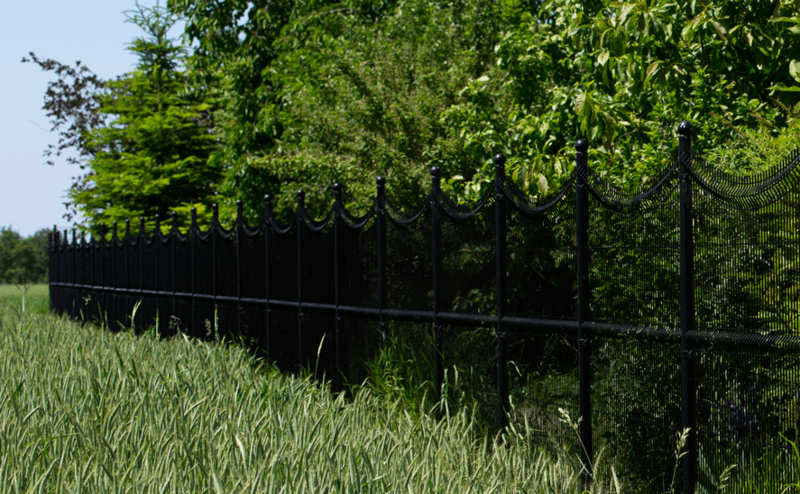 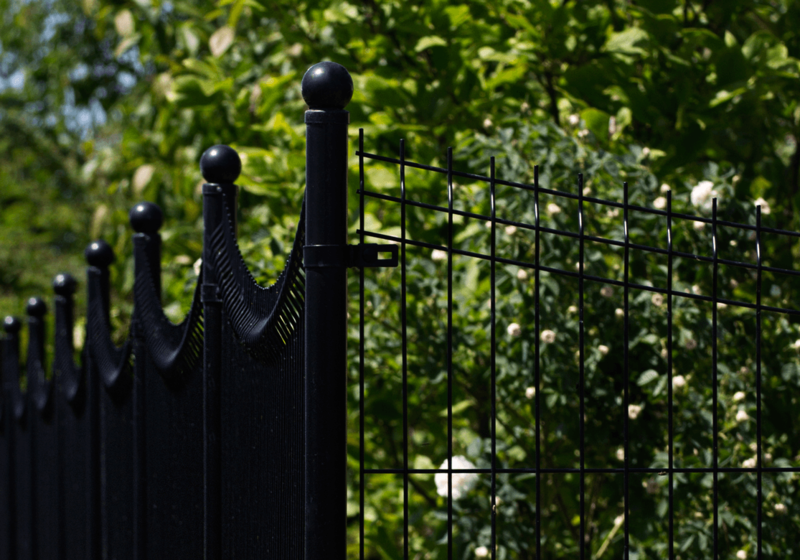 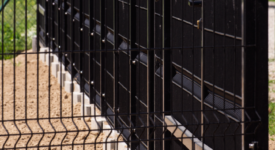 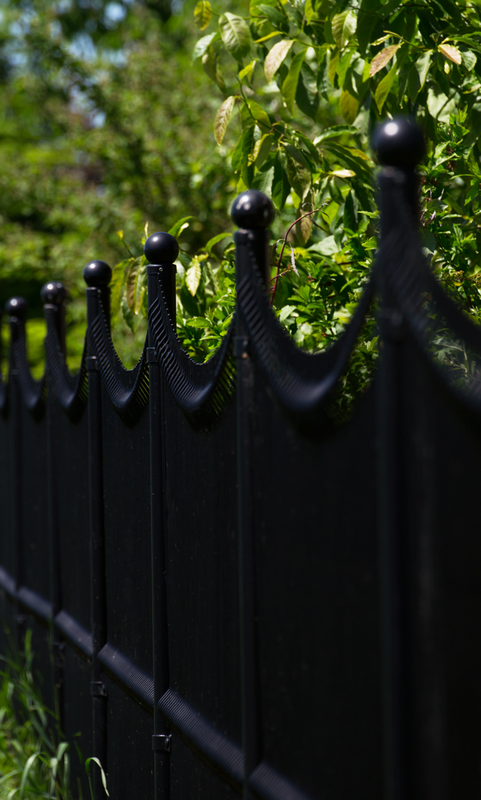 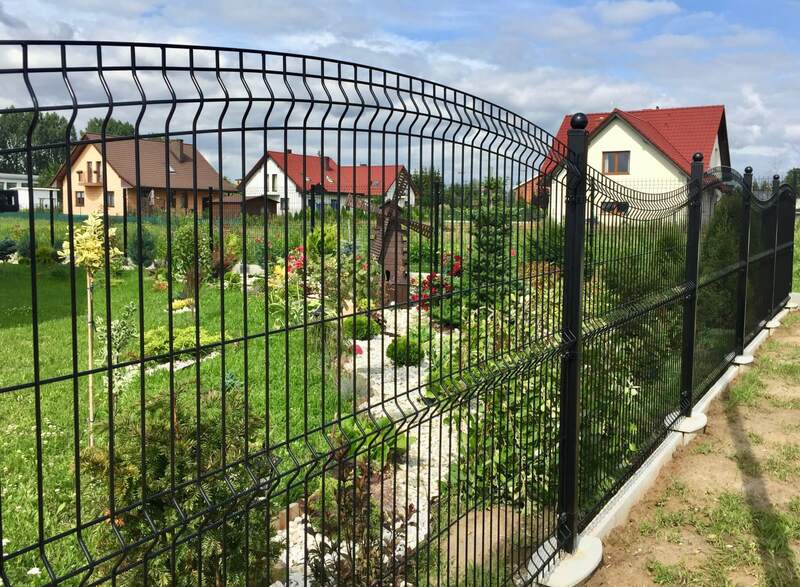 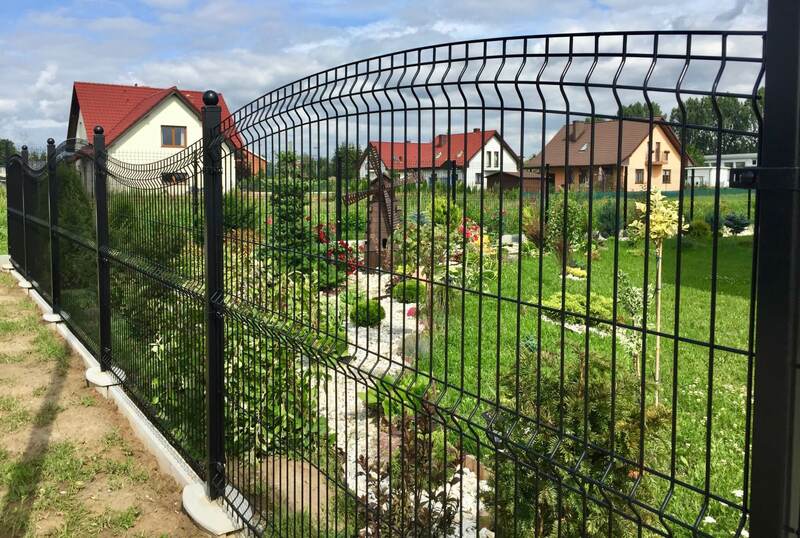 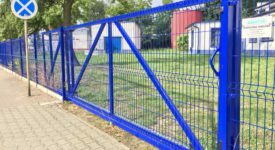 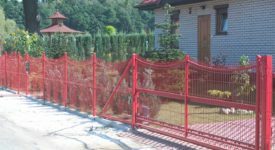 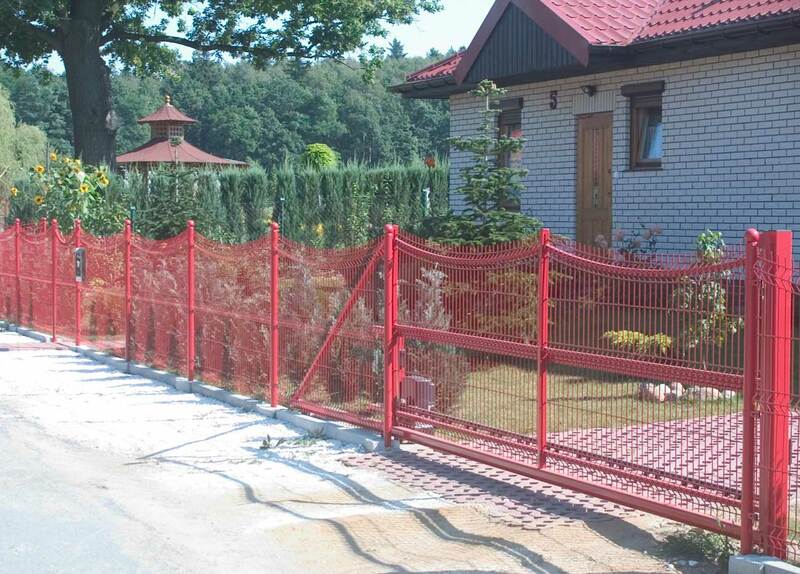 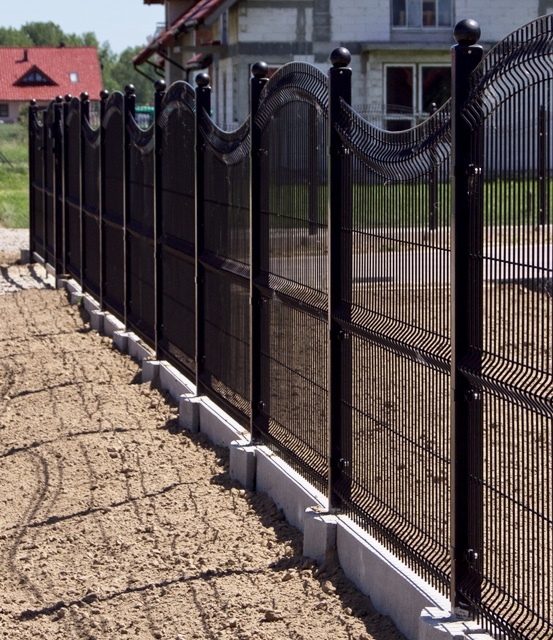 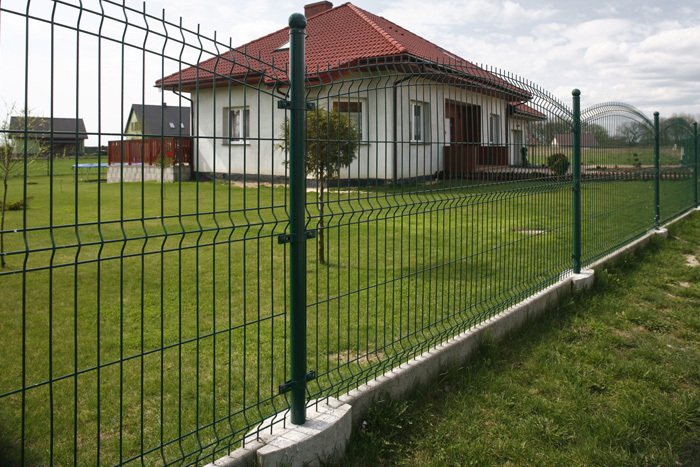 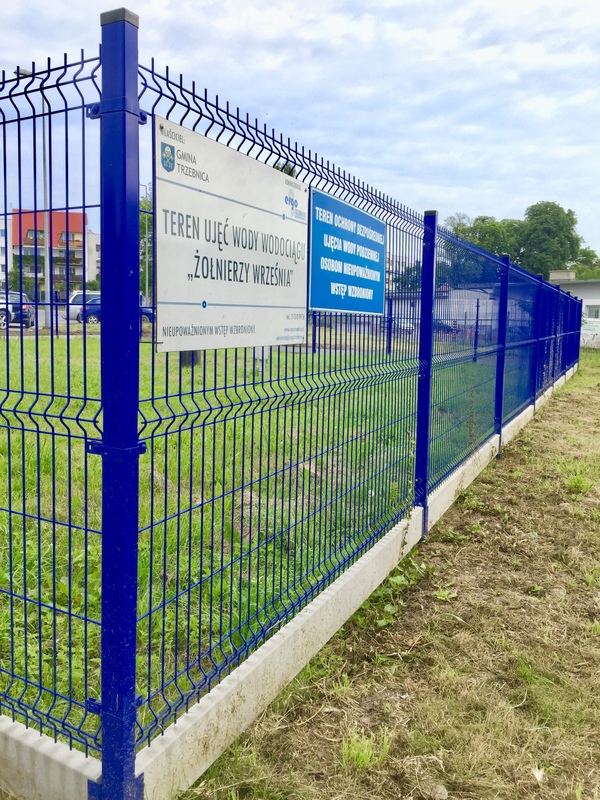 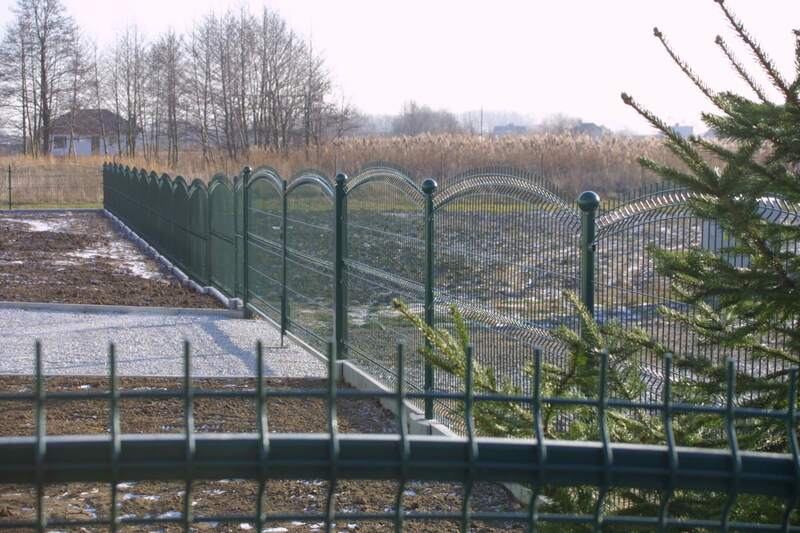 Each element of the fence is galvanized and powder coated, with any RAL colour, for rustproofing. 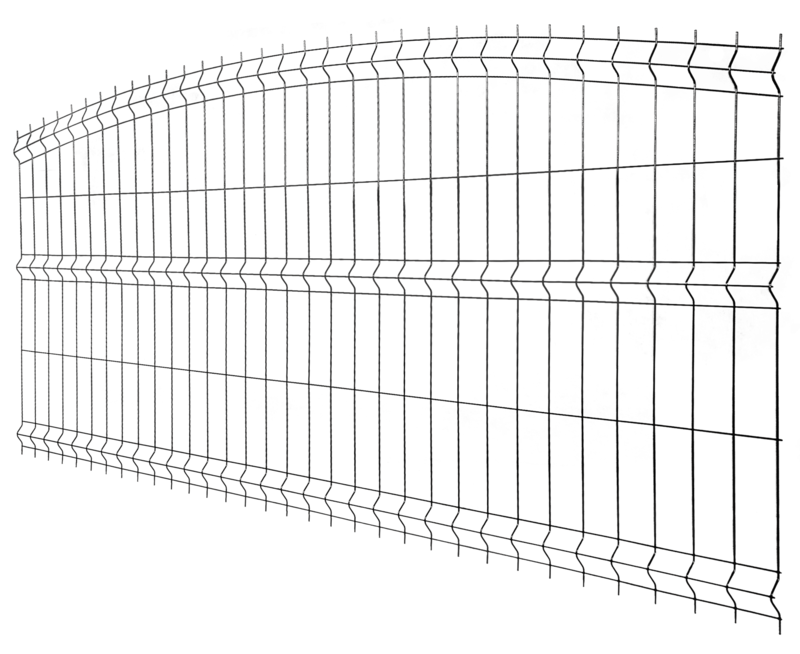 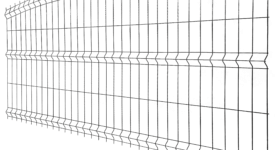 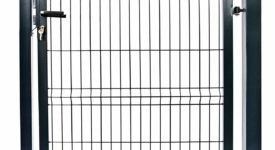 Concave panel – Type B is a fence panel with semicircular, concave upper edge. 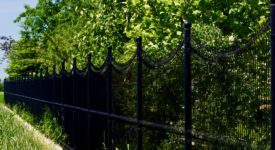 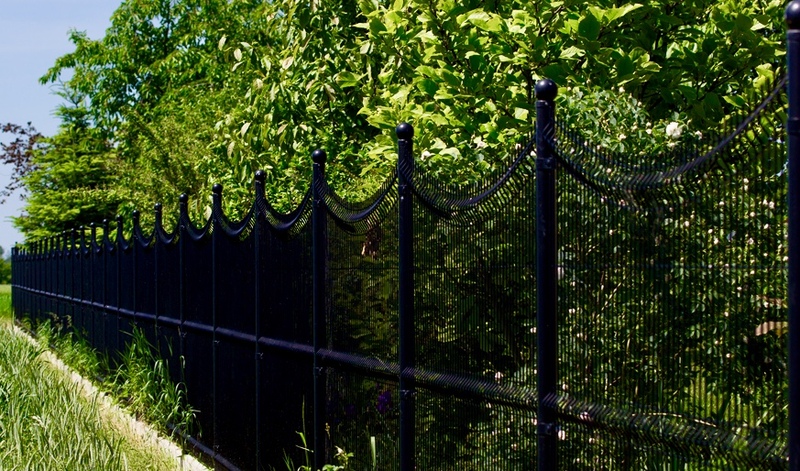 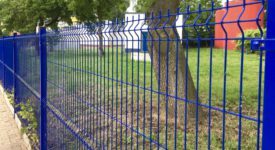 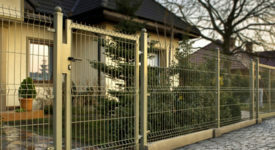 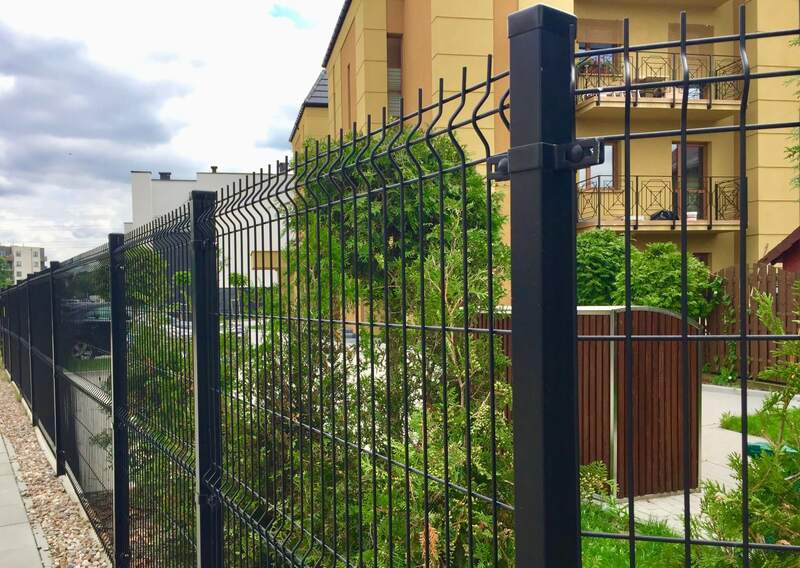 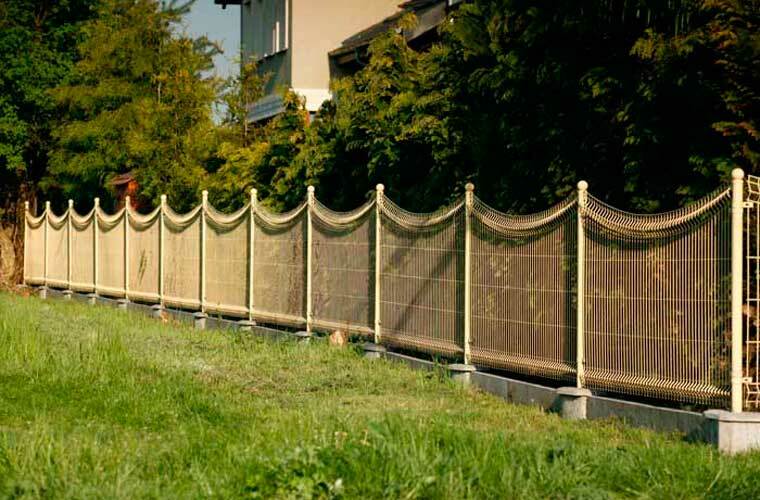 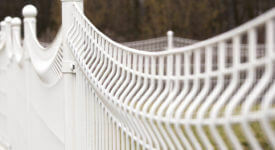 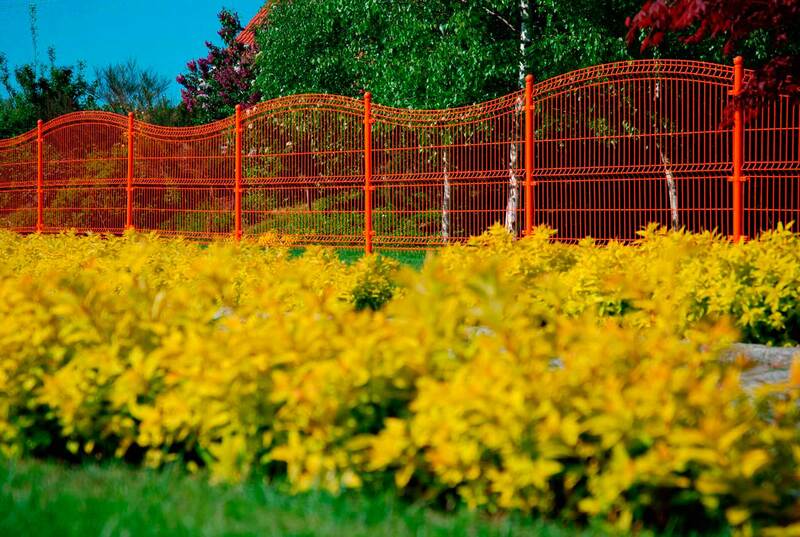 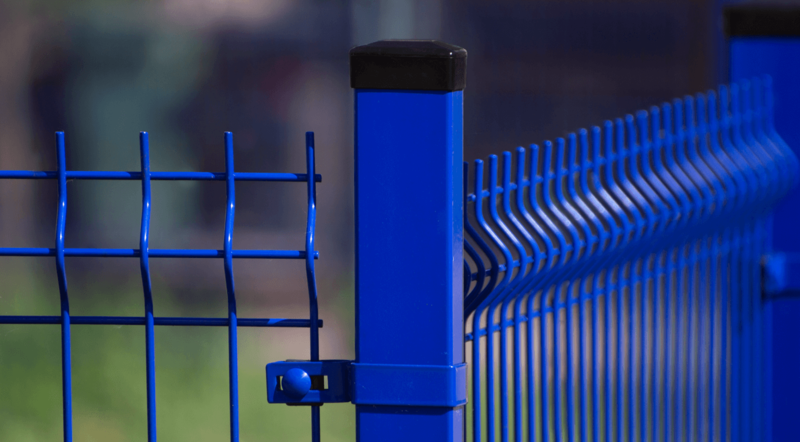 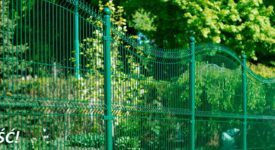 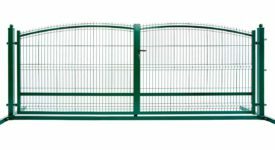 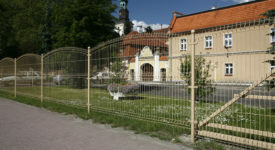 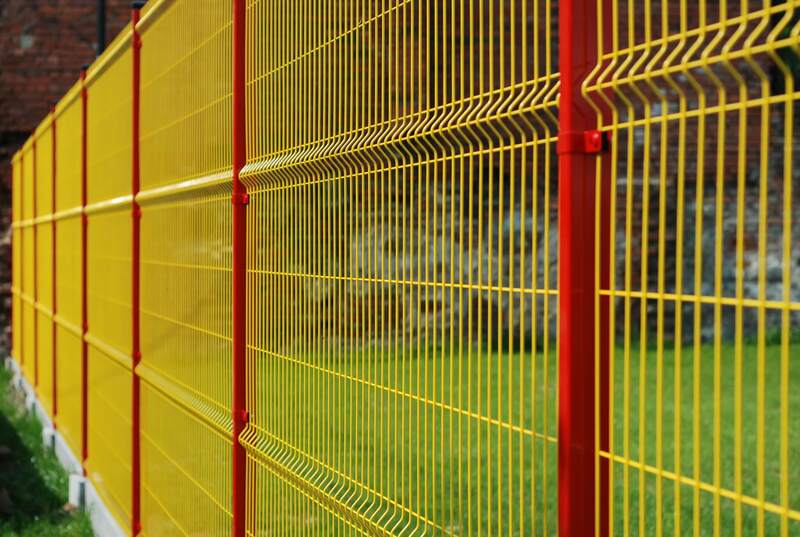 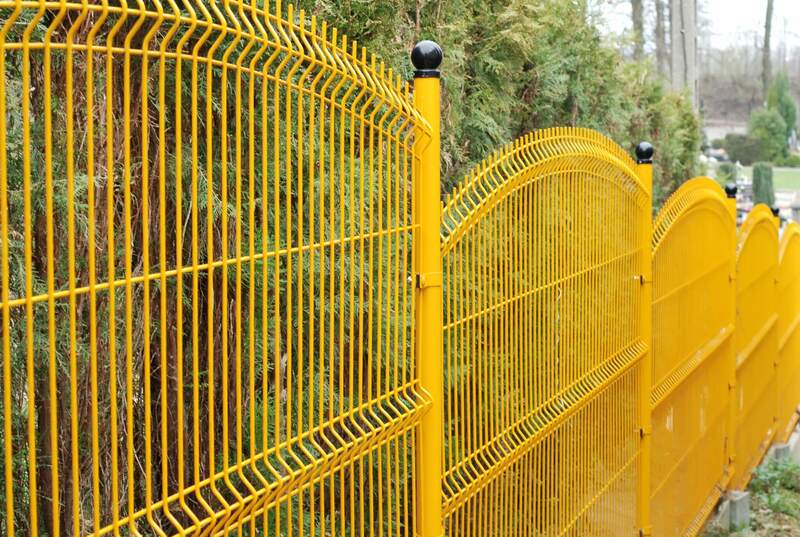 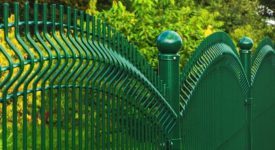 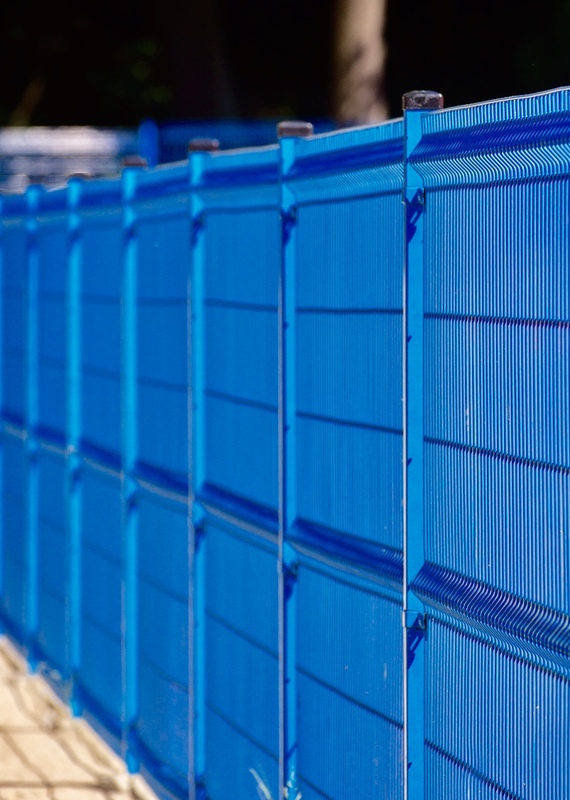 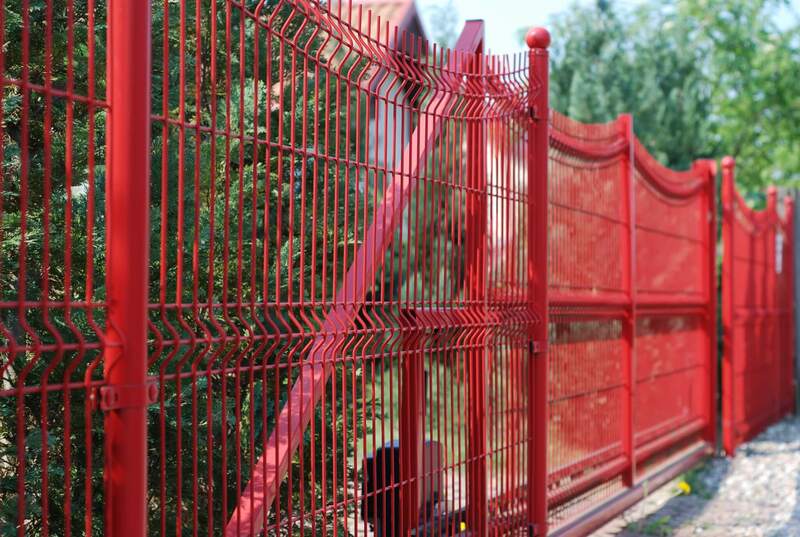 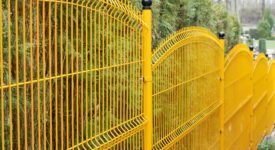 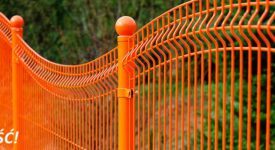 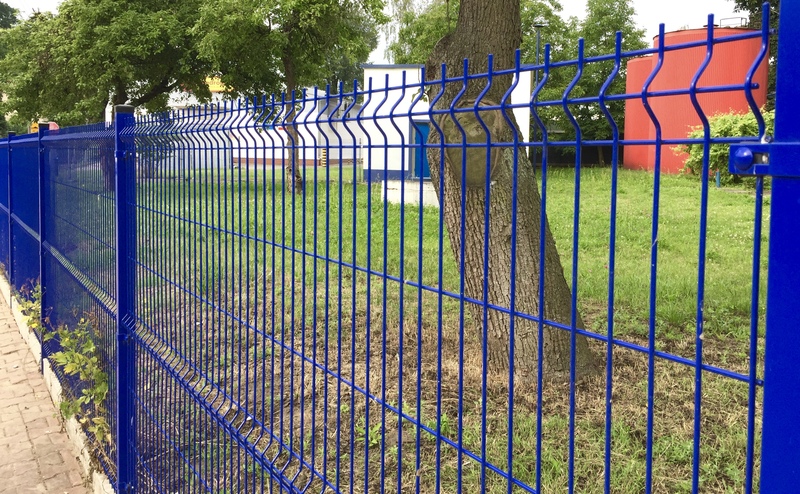 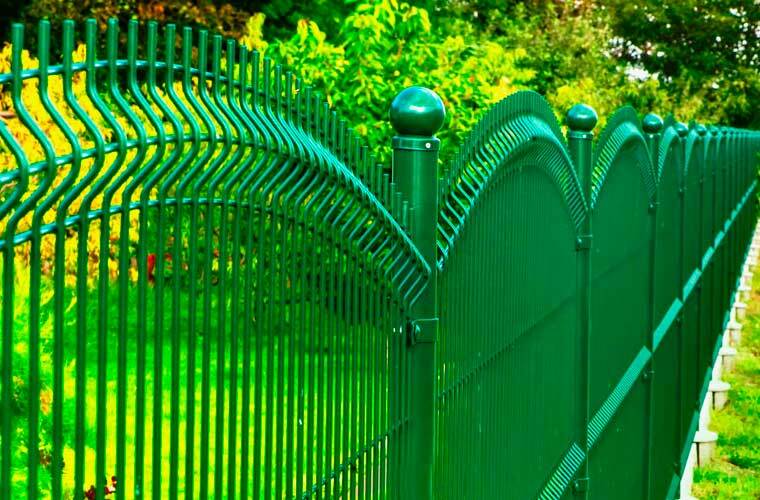 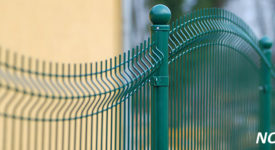 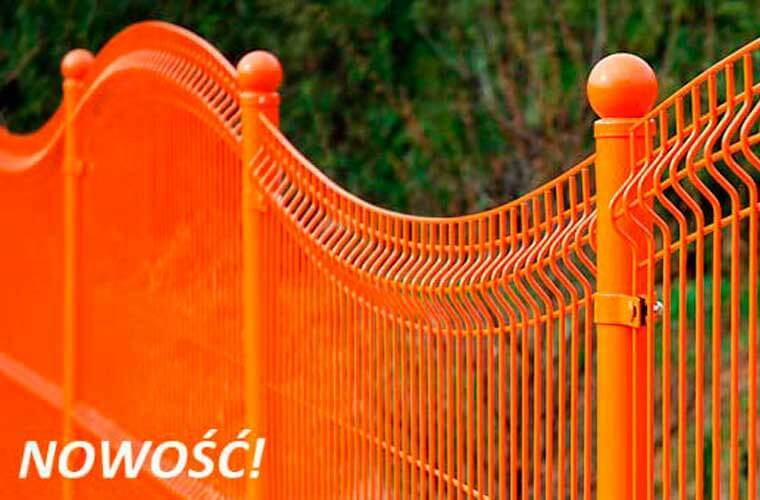 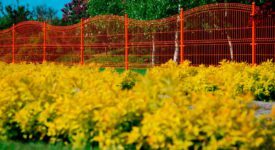 WAVE type panel fence is a combination of convex and concave fence panels with the width of 2,000 mm, which, when combined together, create an innovative and decorative panel fence for private property, kindergartens, playgrounds and all institutional buildings, where the aesthetics of the fence is of paramount importance. 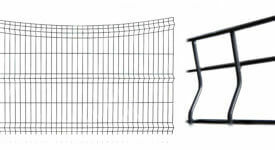 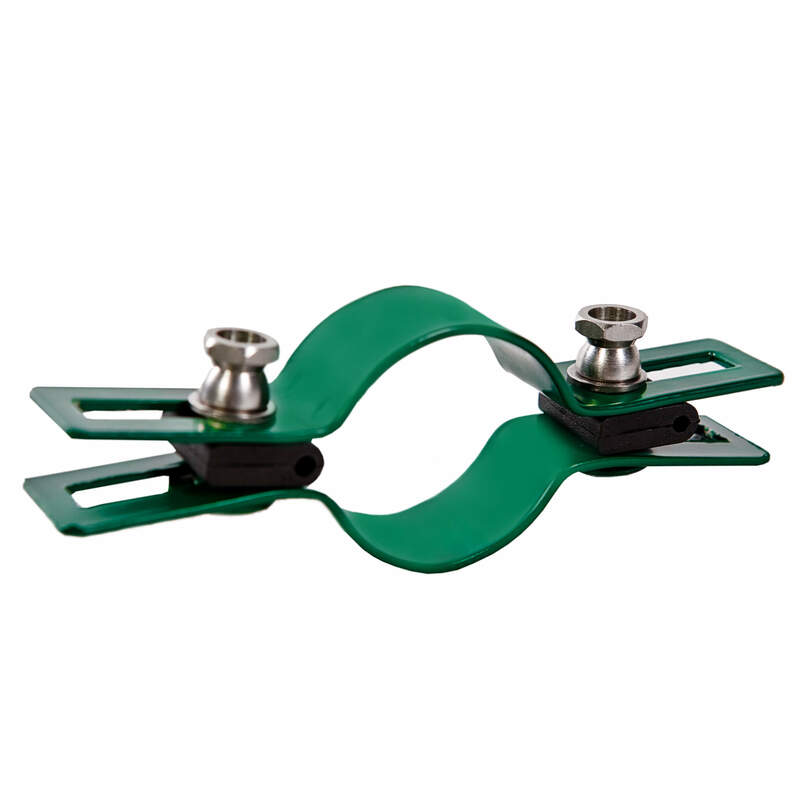 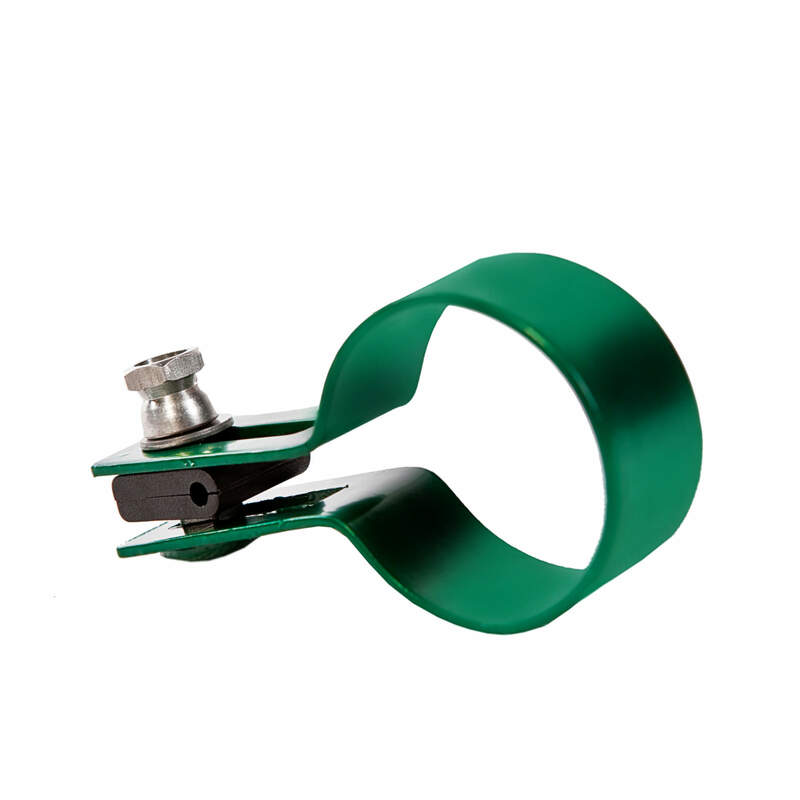 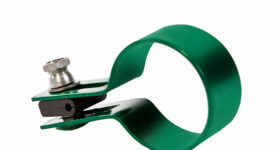 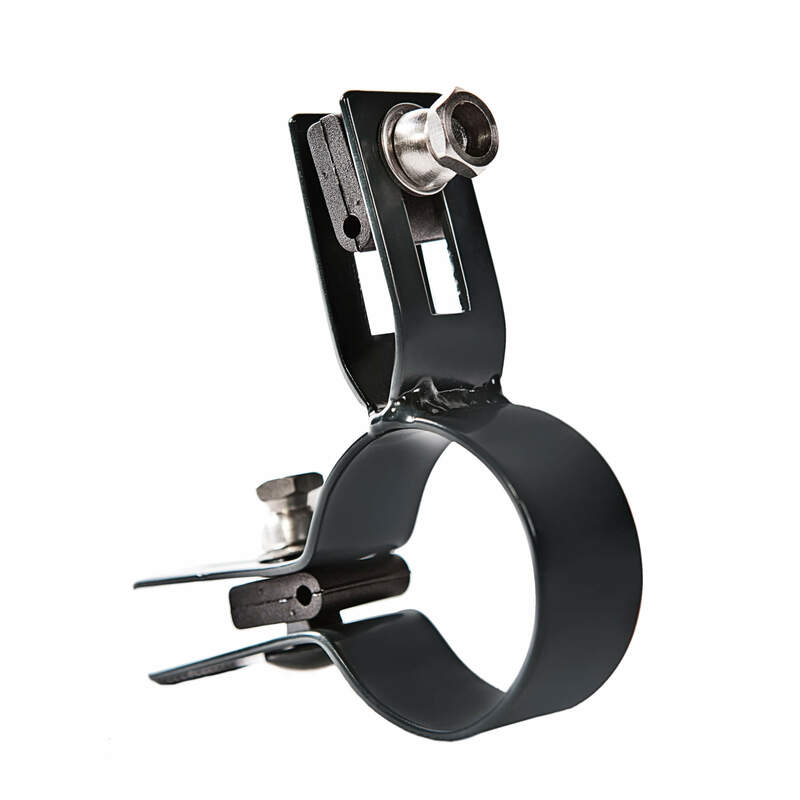 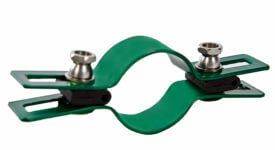 Type C plain panel is made entirely of 4.0 or 5.0 mm diameter steel wire. 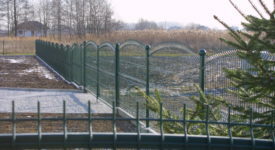 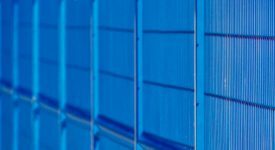 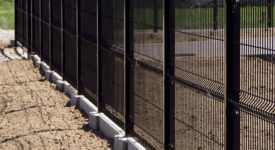 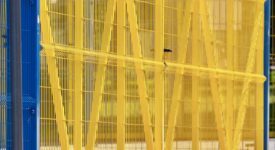 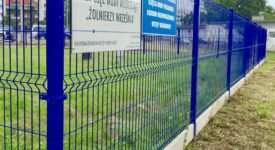 Panels with 50 x 200 or 75 x 200 mm mesh size and several horizontal profiles for rigidity of the construction, depending on the height of the fence. 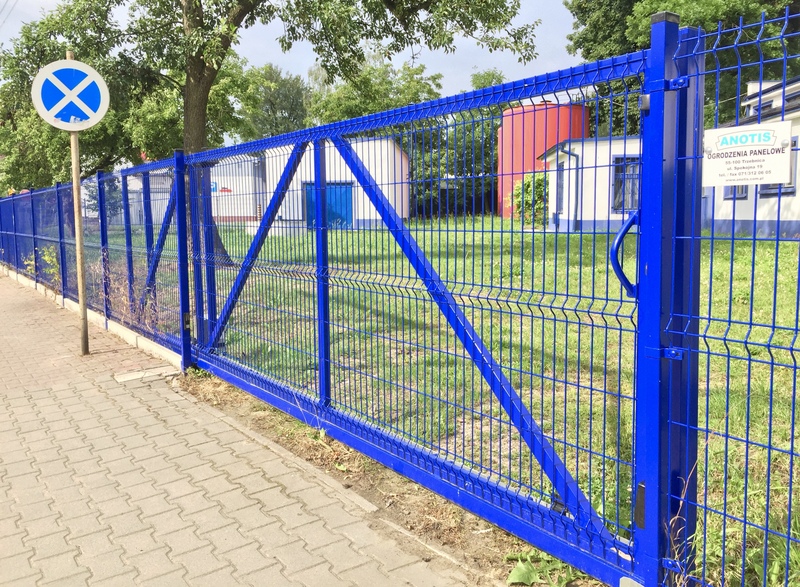 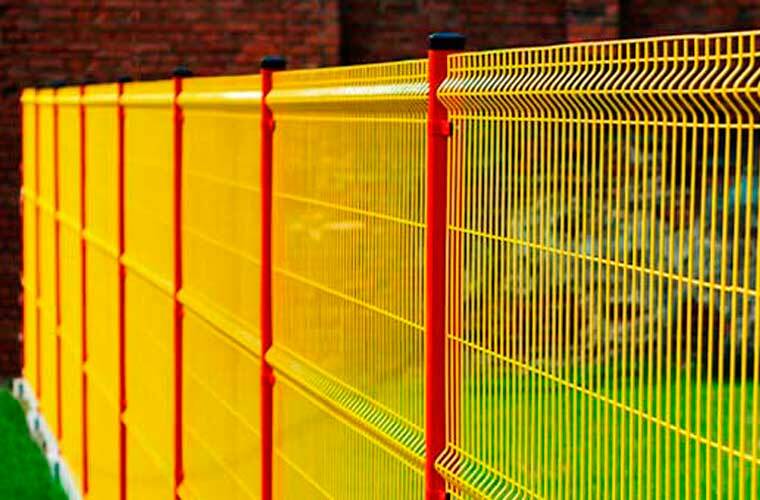 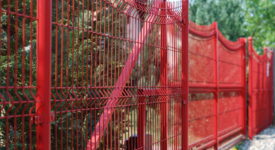 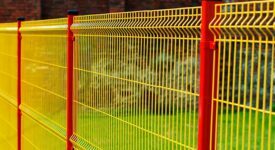 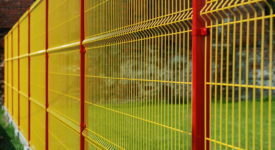 The whole fencing system is hot galvanized and powder coated, with any RAL colour, for rustproofing. 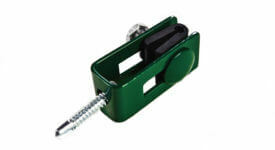 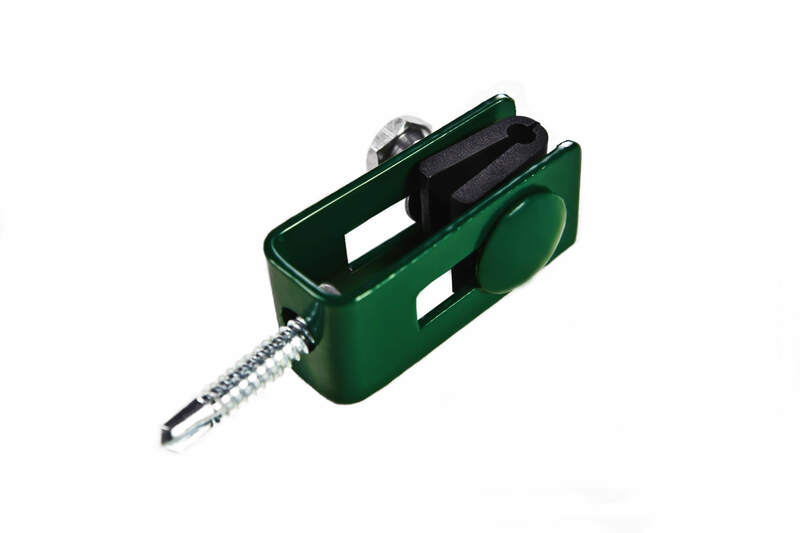 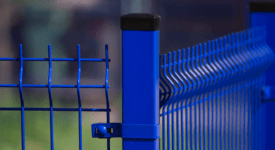 The installation system features a 60 x 40 x 2 mm box post with a frostproof plug or a decorative sphere at the top. 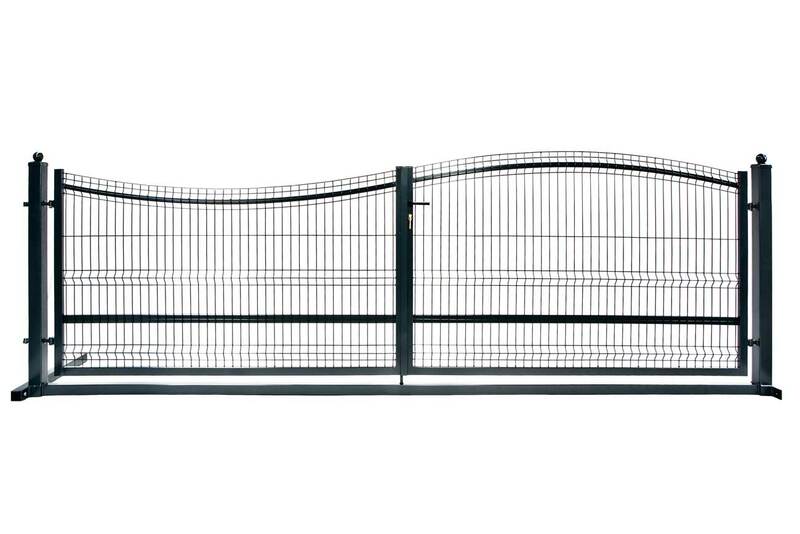 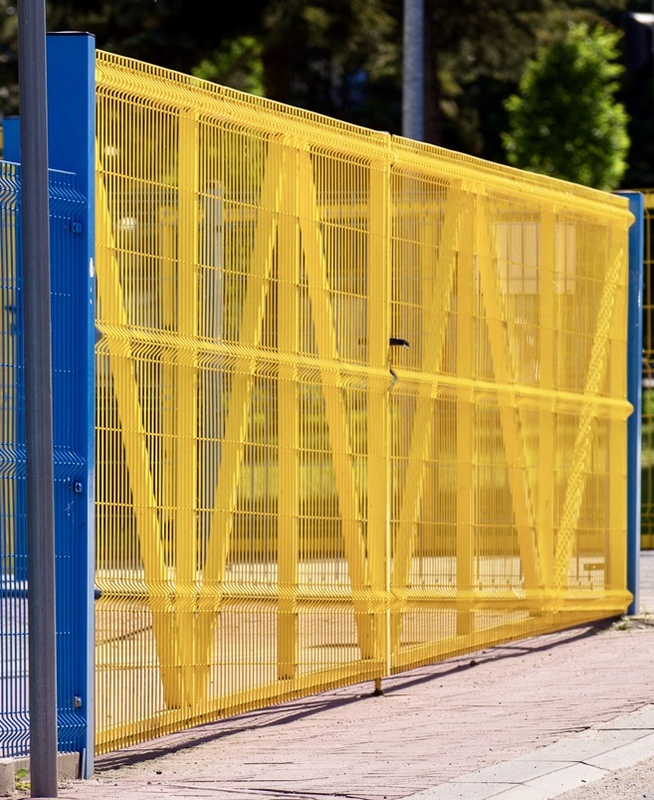 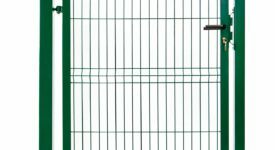 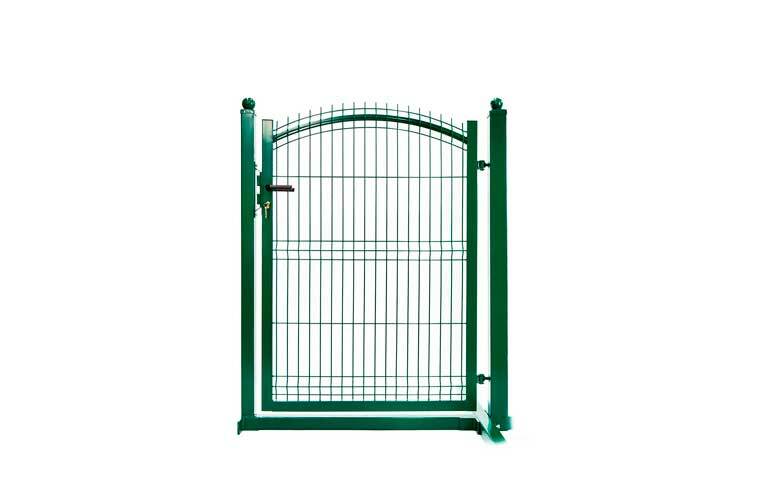 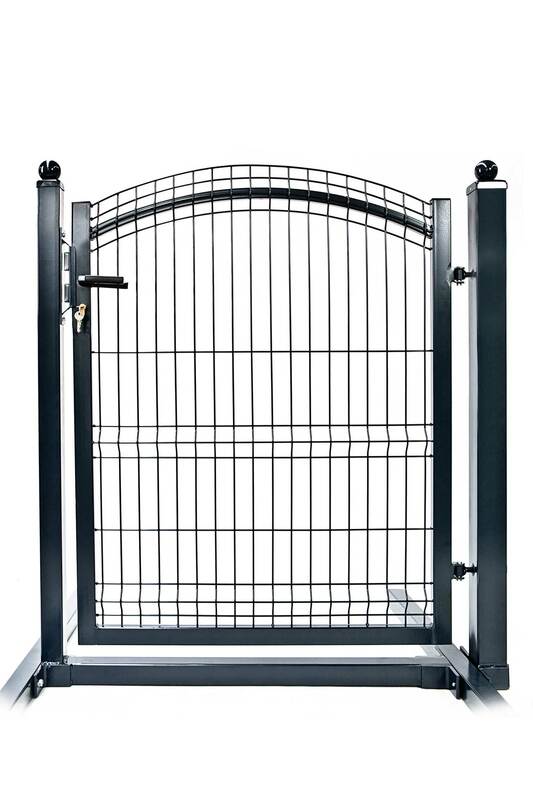 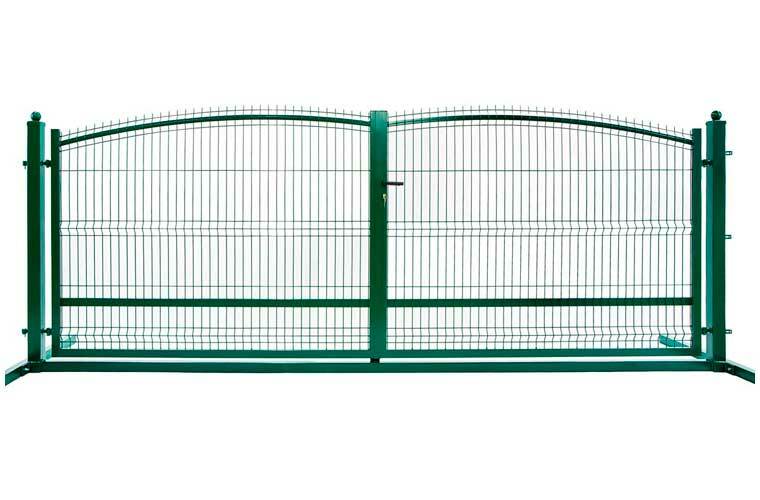 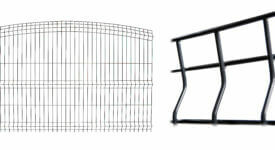 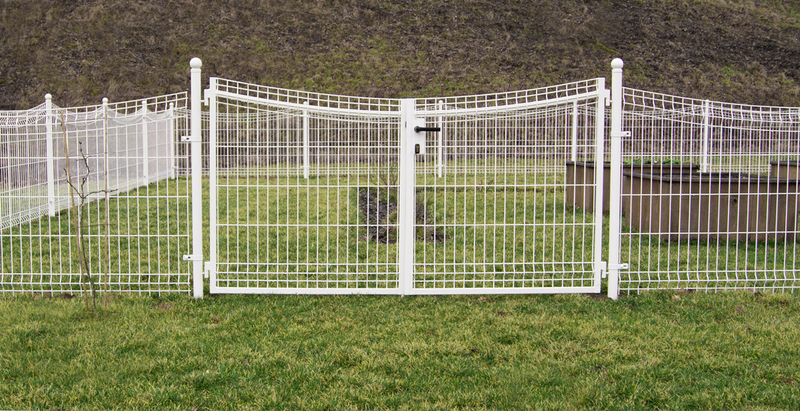 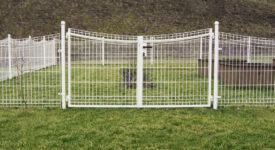 We offer wickets and gates, double leaf and slide gates, for each type of panel. 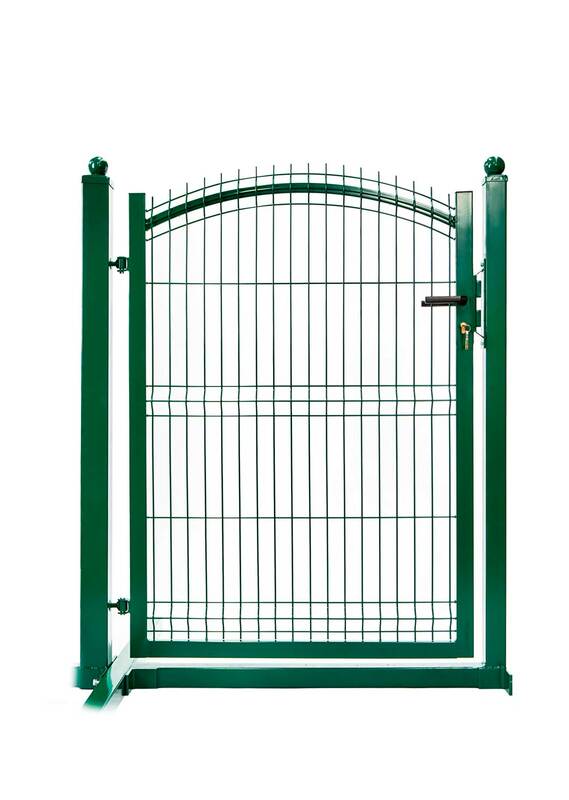 We manufacture slide and double leaf gates operated manually or automatically. 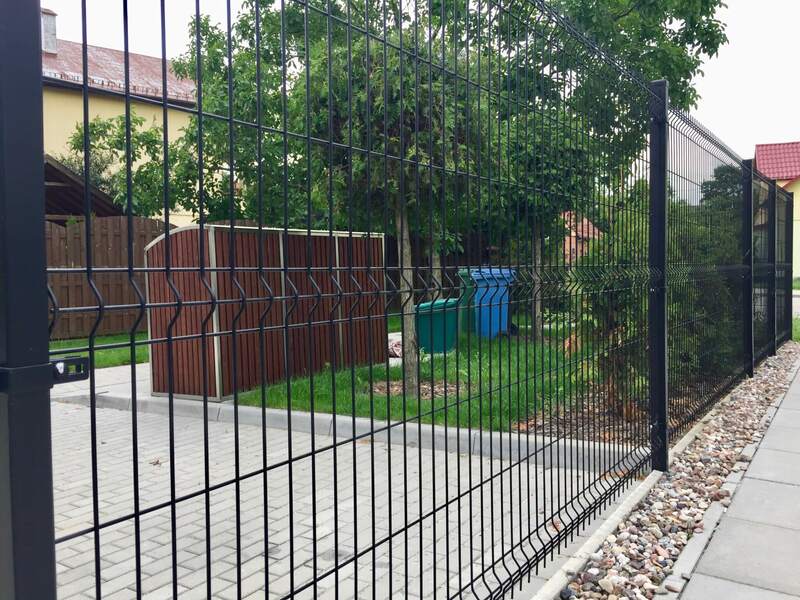 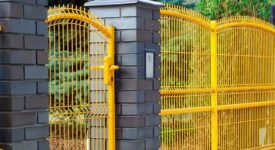 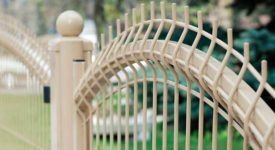 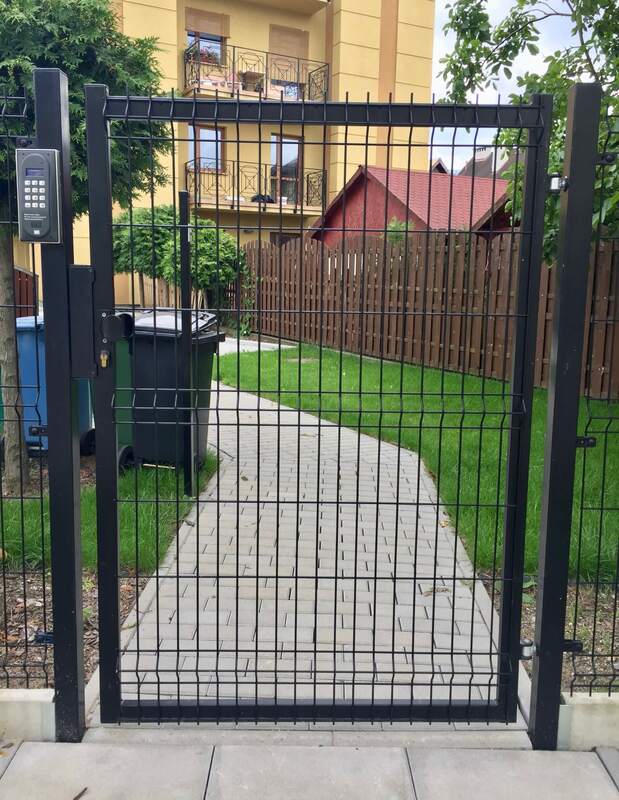 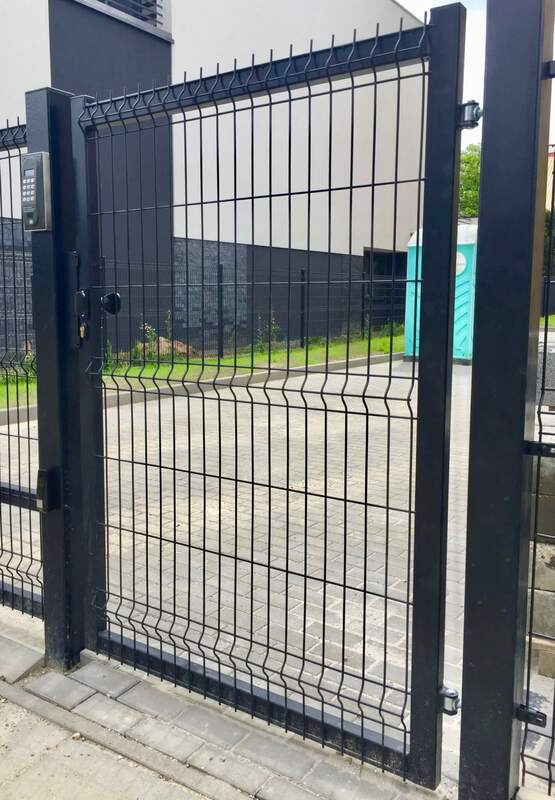 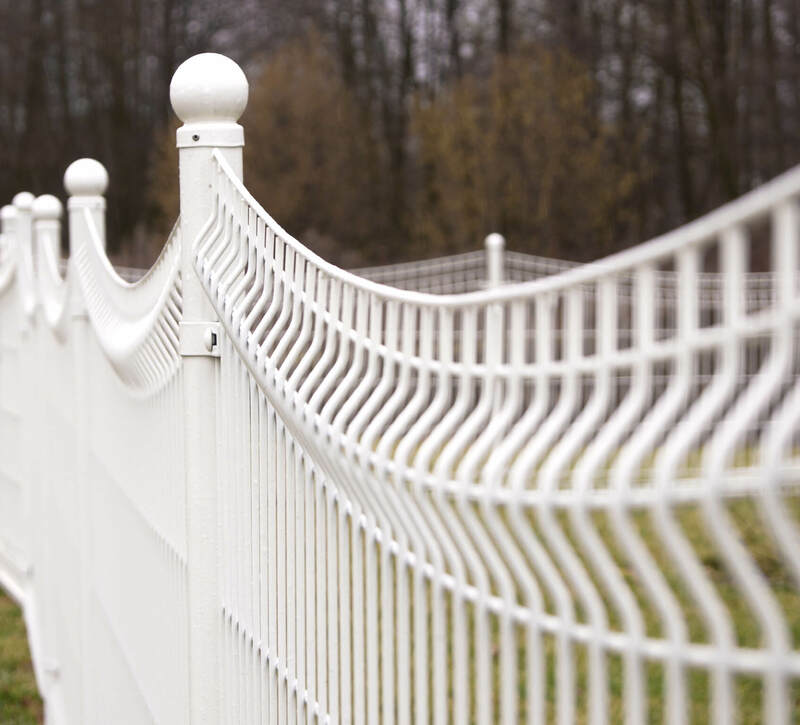 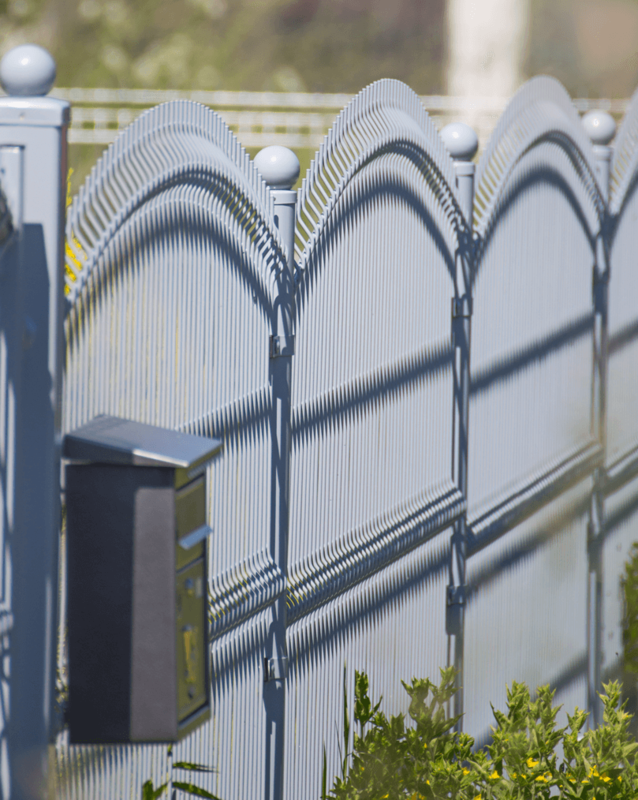 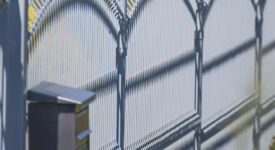 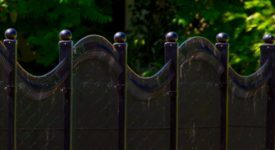 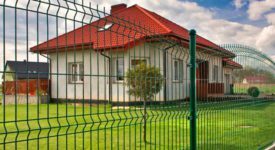 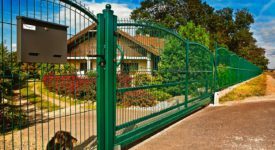 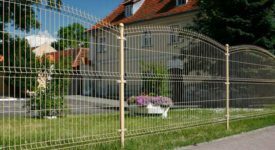 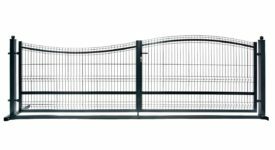 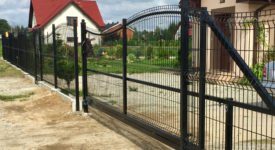 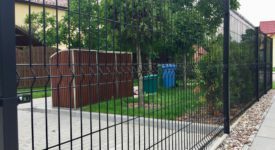 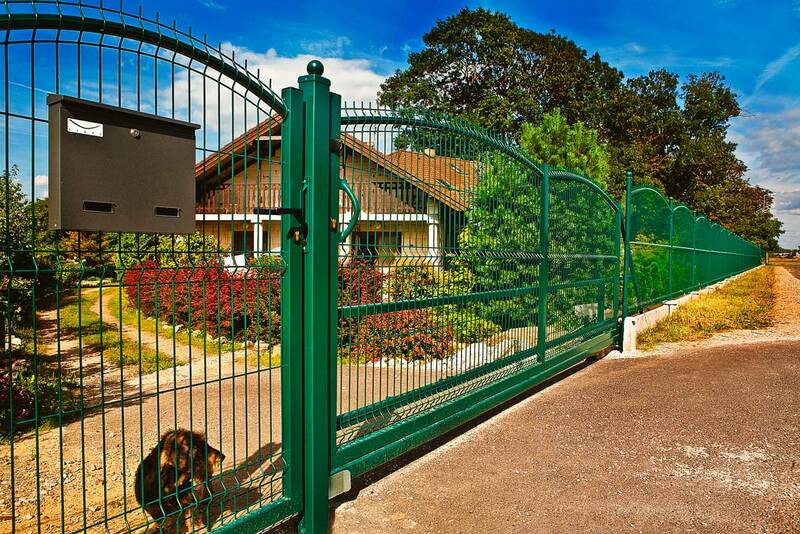 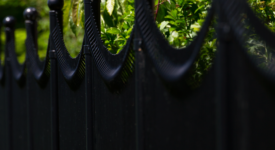 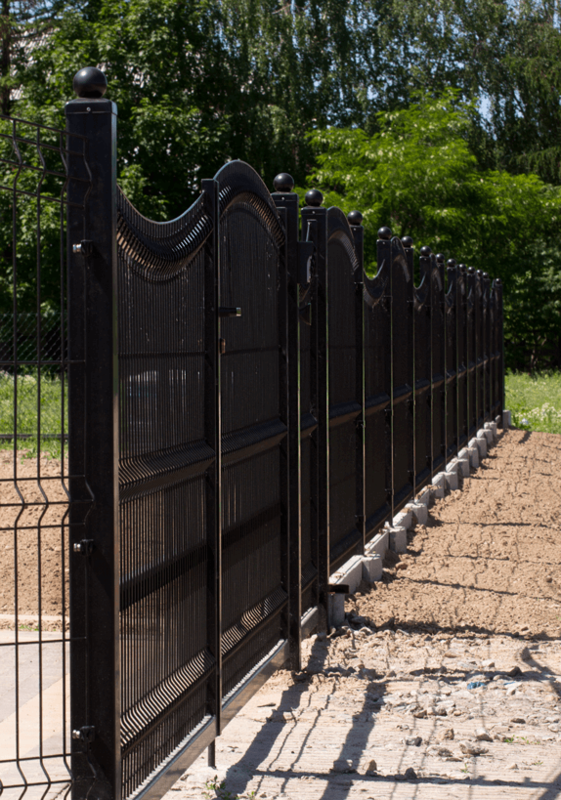 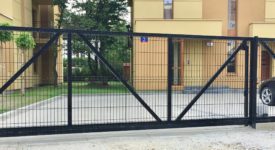 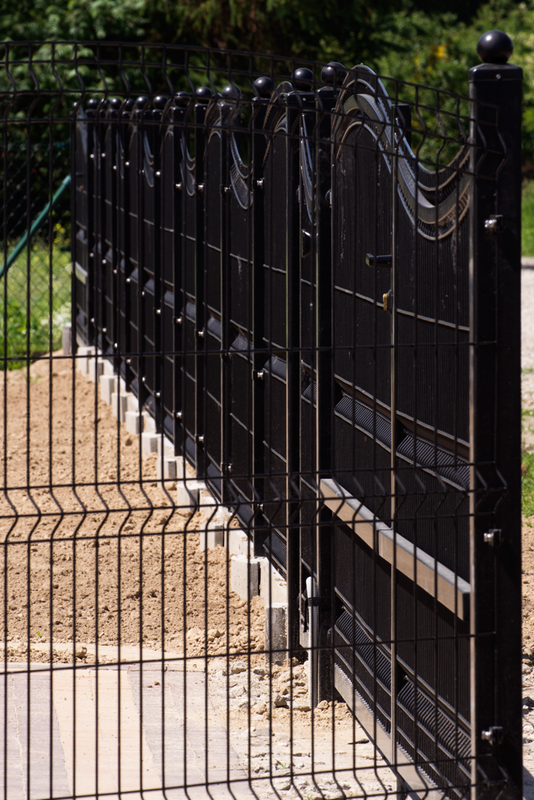 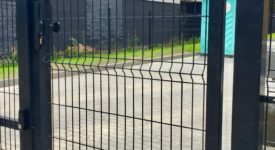 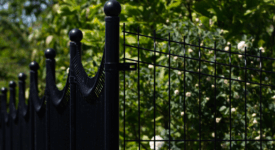 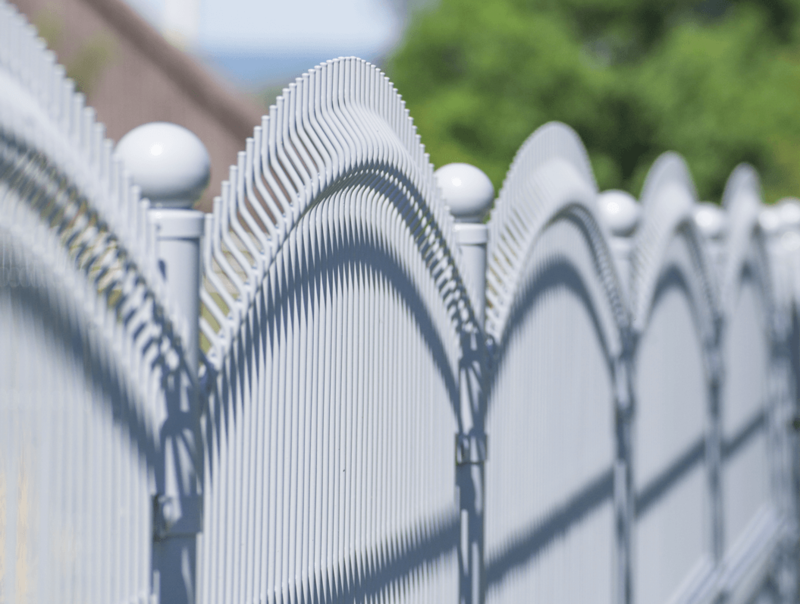 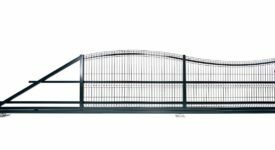 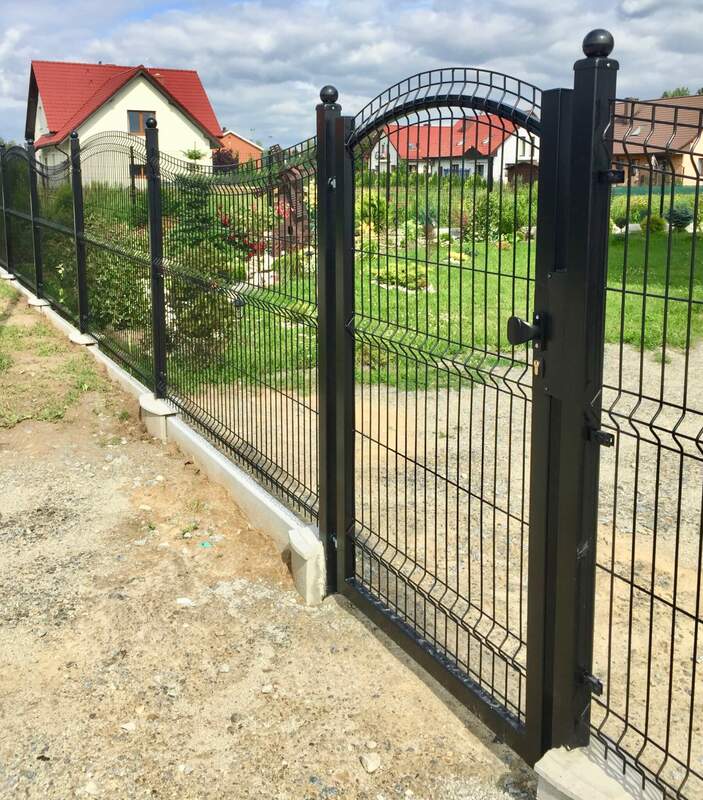 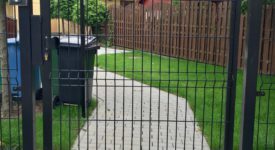 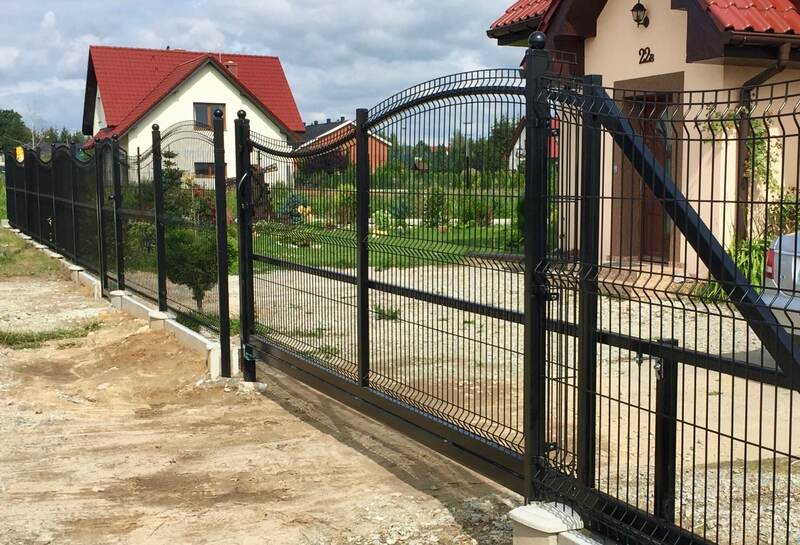 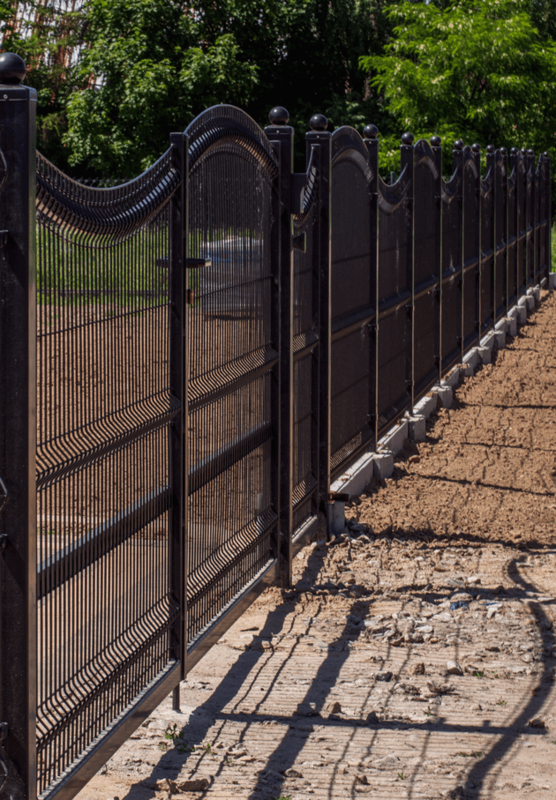 All our gates match the shape of available fences – Type A convex fences, Type B concave fences, Wave type as well as Type C plain fences. 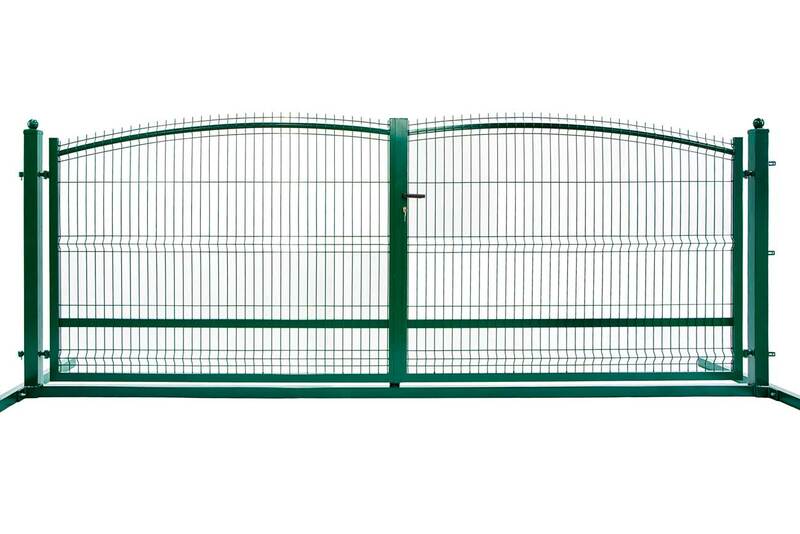 All gates, slide and double leaf, are galvanised and coated with any RAL colour selected by the customer. 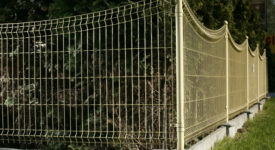 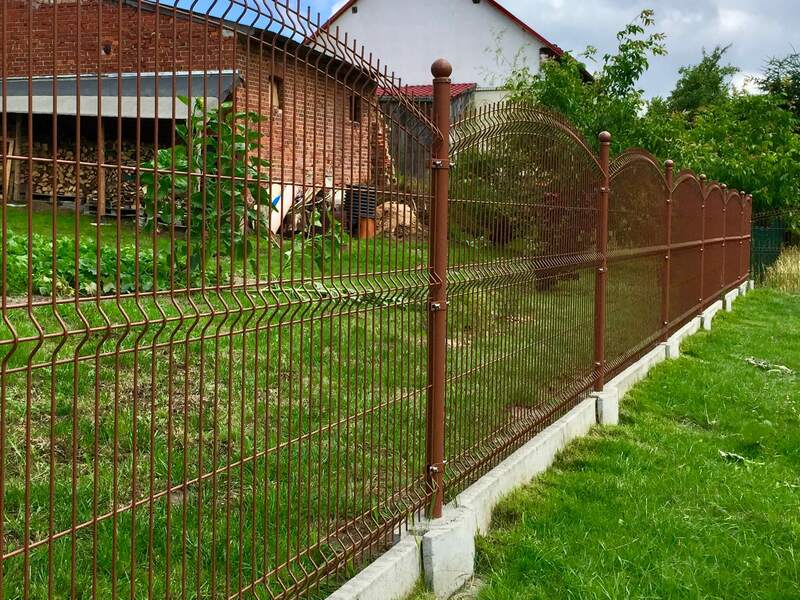 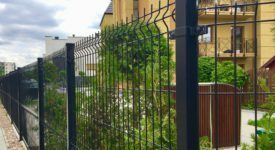 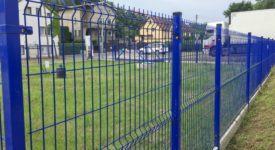 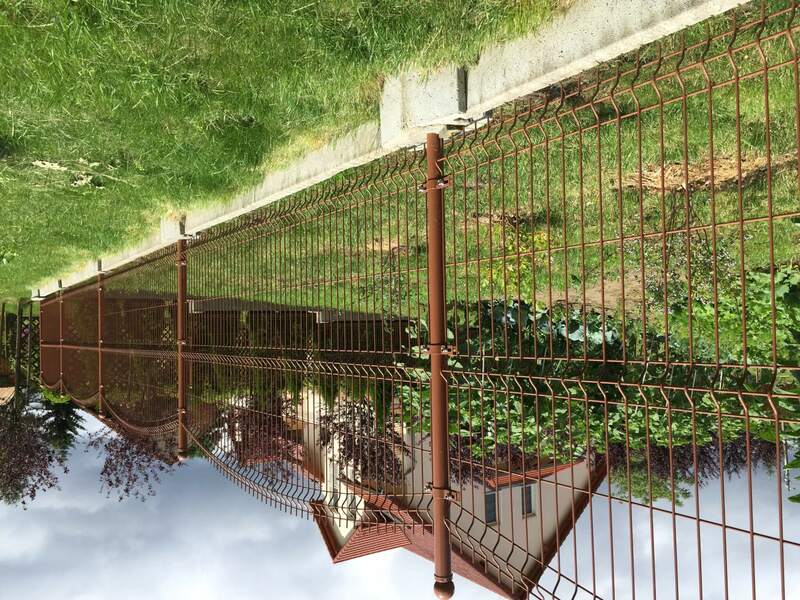 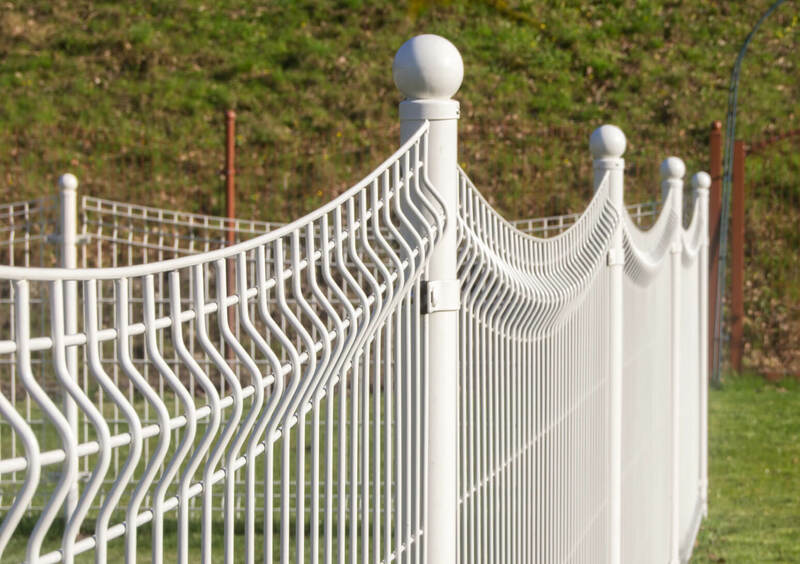 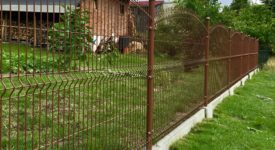 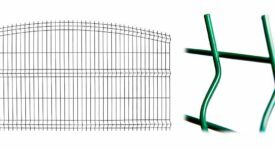 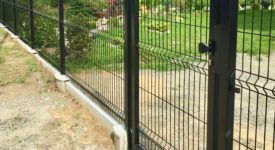 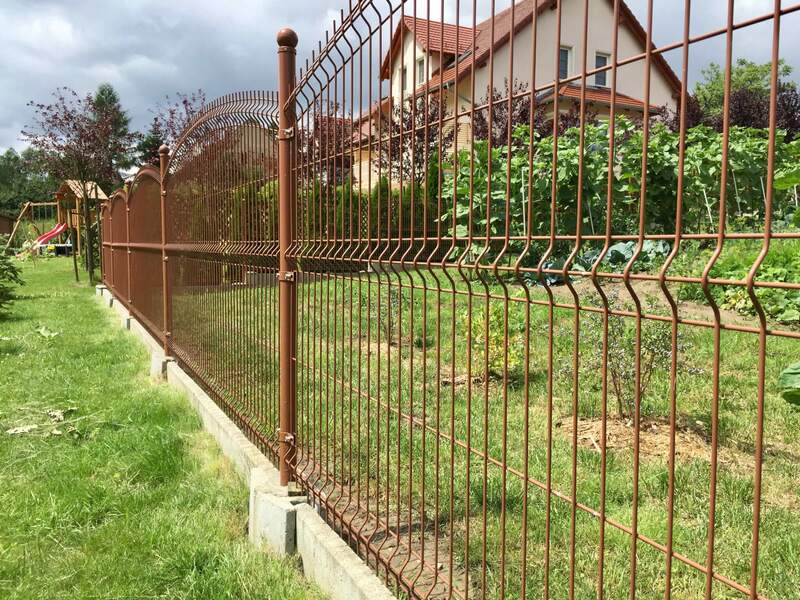 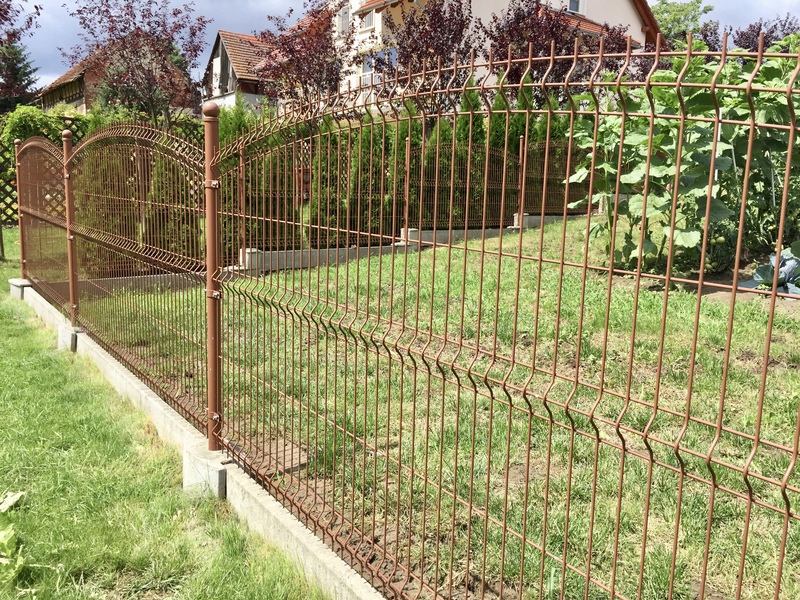 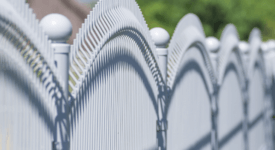 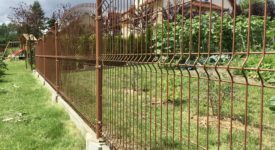 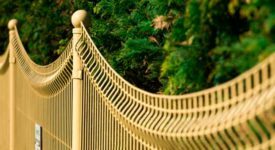 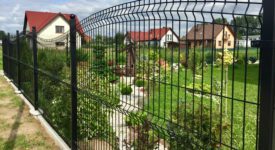 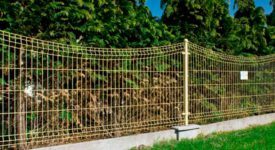 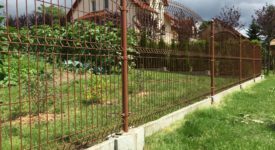 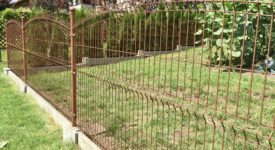 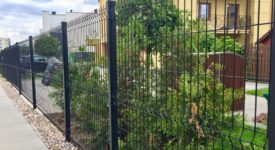 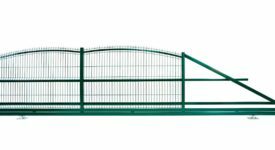 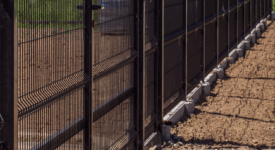 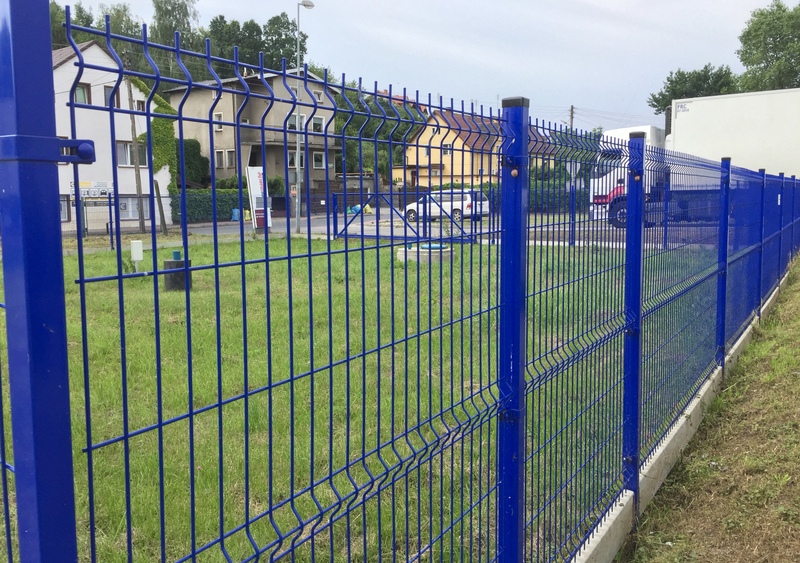 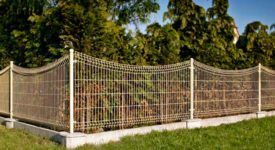 Our offer also includes wickets of various shapes matching all types of fences manufactured by our Company – Type A convex fences, Type B concave fences, WAVE type as well as Type C plain fences. 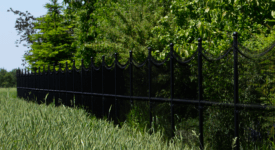 All wickets are galvanised and coated with any RAL colour selected by the customer.